WordPress has come a long way from the boring old 2.0+ version to the much more optimized and streamlined version you see today. With the 4.0 update, WordPress greatly improved the media experience for users, along with other performance improvements. 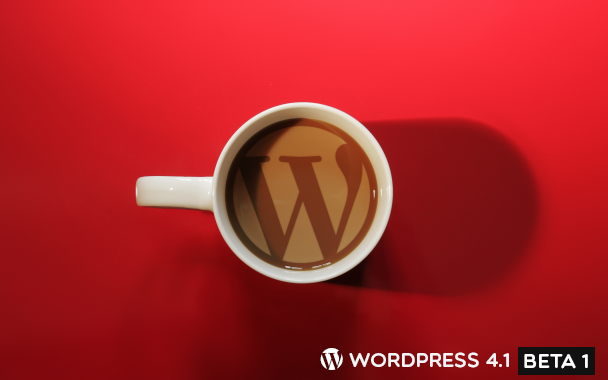 WordPress continues its rapid stream of updates, and has announced that WordPress 4.1 is now available. It boasts of many new features. This latest version of WordPress is code-named 'Dinah' in honor of the singer Dinah Washington. Publicly available for download or update directly through the dashboard, this version focuses on enhancing the writing experience for users, along with performance improvements and other features. Focus has made in this update to improve the writing experience. 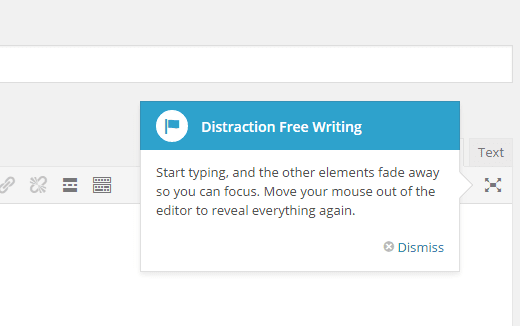 So now there's a new distraction-free mode to help you concentrate on writing content. This mode automatically triggers when you start typing, and anything that's not necessary simply fades away and then automatically returns when you stop writing. This is a pretty neat feature. The whole update is about reducing clutter, so it makes sense. The WordPress text editor typically contains a lot of fields and whatnot, which can be overwhelming at times. So this feature is sure to make writing a lot easier. It is customary for WordPress to release a new theme each year, named after the year itself. This theme acts as the default theme for all new WordPress installations, and you can revert back to it anytime. Twenty Fifteen is described as a 'blog-focused theme designed for clarity. It reduces clutter and puts your content front and center. It’s suitable to be viewed on any screen size, whether on a phone, tablet, laptop, or desktop computer. There's a new feature that lets you log out of any devices you might have logged in from in the past. This is useful because I log in from a lot of locations to constantly check up on my website, but don't always remember to log out. I am sure many of you will find this useful as well. One cool feature that we'd like WordPress to expand is the embed Vine video option. Instead of getting an embed code, you can simply paste in a Vine URL and it will automatically embed itself! We'd like to see this feature integrated with YouTube and other providers as well! Other improvements include extended language support, and plugin recommendations based on what you already have. All in all, it's a pretty nice update. If you want, you can view the full updated feature list here.